The brain is an amazing organ. It makes thousands of decisions a day, almost at a rate of a decision every second. It helps you decide what to wear, when to eat, what to eat, what pen to use, or whether to answer the phone or not. It also helps you post a picture with a clever tag line, decide whether to have coffee or tea, how to prep for a presentation or a meeting and what to say during it. As one can see some of the decisions may seem insignificant and some very important. Each decision is individualistic. What matters to one does not matter to the other. But the point remains, we make a lot of decisions during the day. Given this amount of activity, the brain does get tired. The problem is we don’t always notice it. 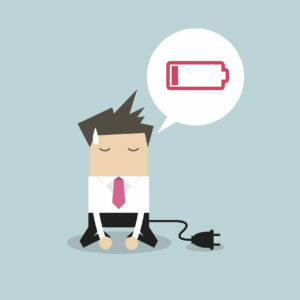 When we are physically tired we notice right away and rest, but when we are mentally tired we rarely notice it. This causes us to keep going and makes matters worse. Ever notice how the later the day goes the less you want to make a decision? Maybe you are a little more impulsive, a little more reckless, maybe a little moodier. The reverse is also possible: you just want to do nothing. This is called Decision Fatigue. It is the deterioration of the quality of decisions over time. As shown above, we make lots of decisions throughout the day, and science shows us that the number of decisions we can make are finite. Simple decisions sometimes become taxing. Ever ask your significant other “Where do you want to go for dinner?”. How did that conversation go? Was it frustrating? Did you just stay home and order in because you could not decide? Maybe that is why Steve Jobs wore the same thing every day. It’s just one less decision to make. I will sometimes say “I have given up thinking, I tried it once and it hurt my brain”. It looks like I may not have been far from the truth. The brain, like the rest of the body needs to rest and take breaks. What are you doing to ensure that your brain is at peak performance?